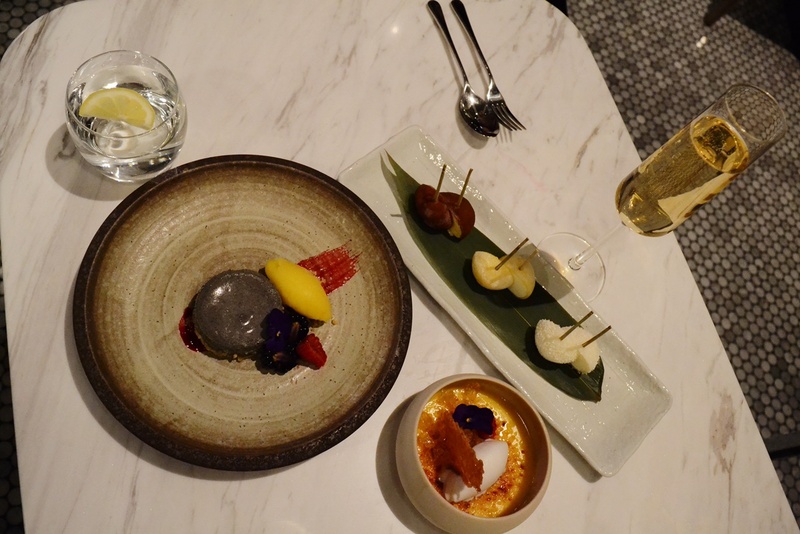 Promising to bring a mix of Mexican and Japanese small plates to encourage shared dining experiences, STYLEetc headed to the newly re-opened Peter Street Kitchen at the Radisson Blu to see what dishes were on offer. Entering the restaurant, the eastern influence of decor becomes apparent. 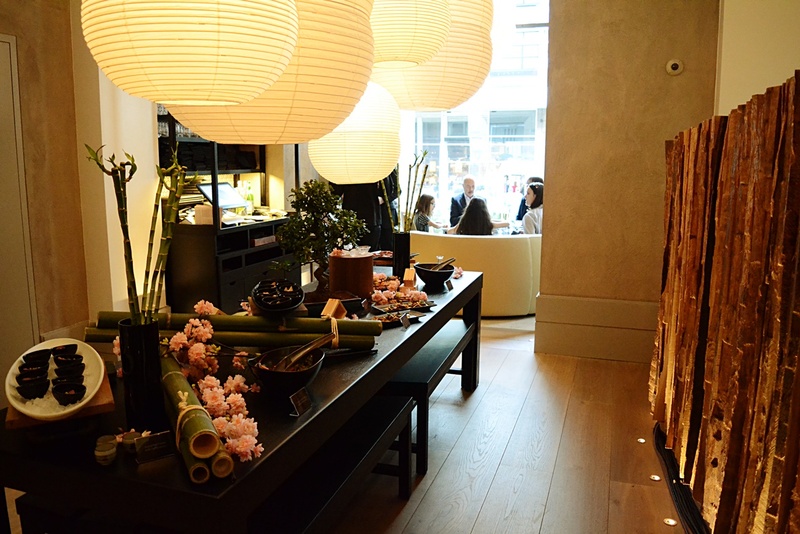 The bar is adorned with Japanese accessories above the vast selection of spirits. The stools and counter have a sleek and modern feel, spaciously set out for comfort. A theme of darker tones through the bar begin to lighten up as you head through to the restaurant. 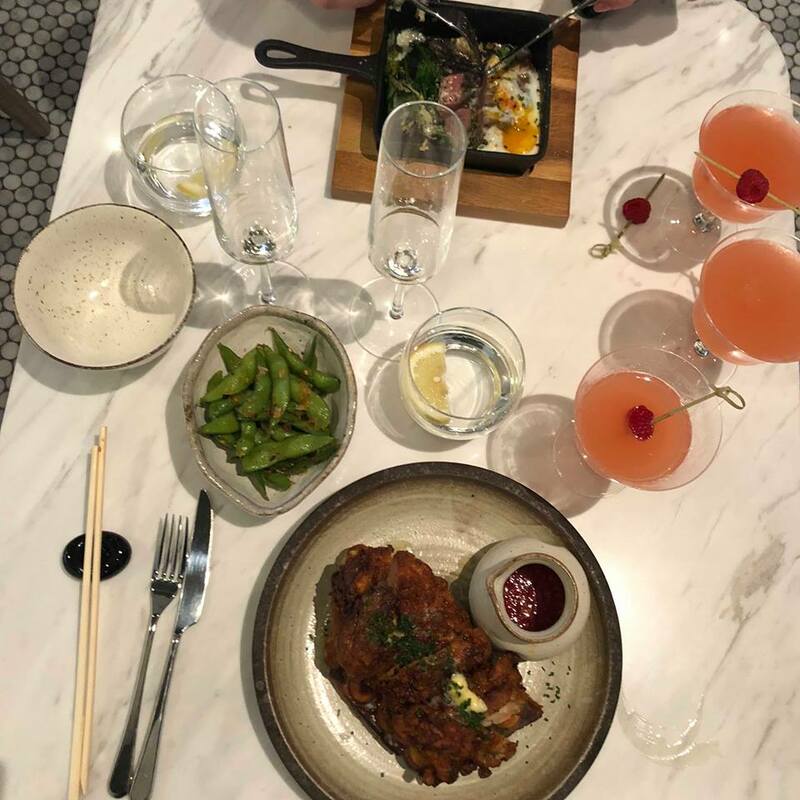 Marble tables and neutral shaded booths set the scene for the perfect instagram snap, certainly done on purpose to encourage social media sharing and we must admit it worked as we couldn’t resist sharing our #brunchgoals with the world. 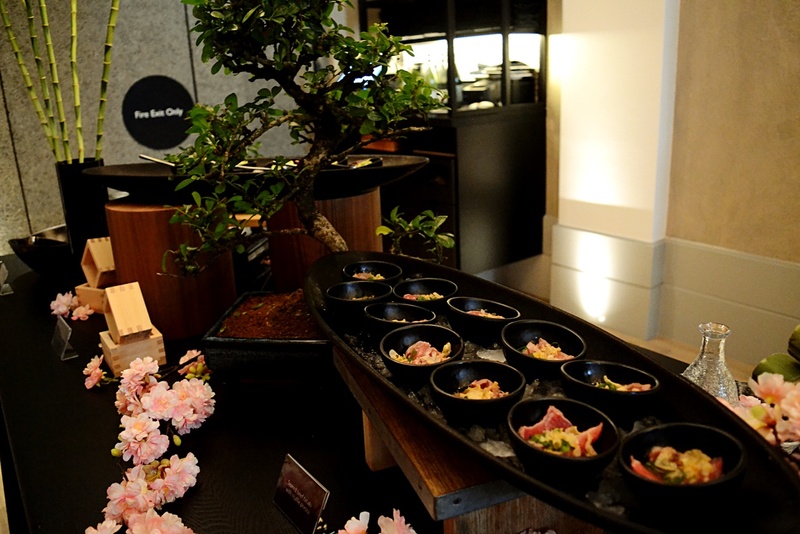 The Rikyu brunch consists of a buffet style selection of help-yourself small plates to keep you appetised whilst awaiting one chosen main, followed by selection of desserts. 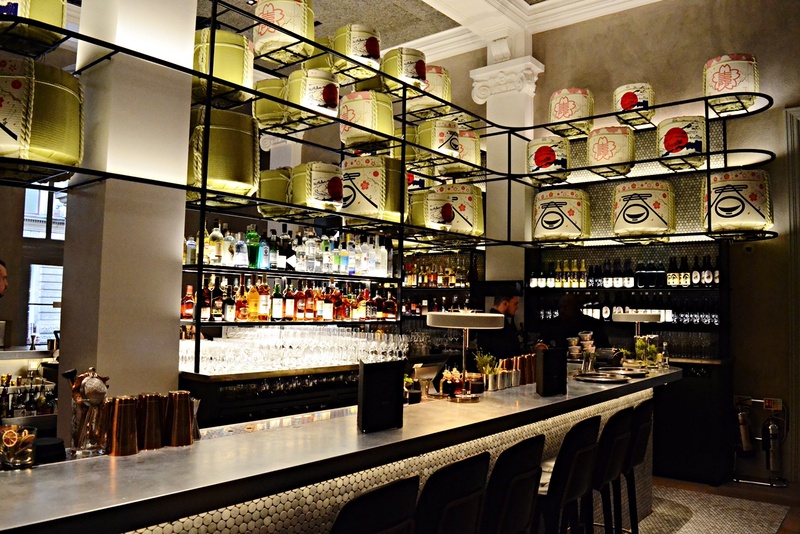 The range of small plates are beautifully arranged in a mightily impressive setup. The sheer work put in to keep the plates topped up and looking picture perfect must be applauded and the arrangement is unlike anything we have seen within the Manchester food scene before. 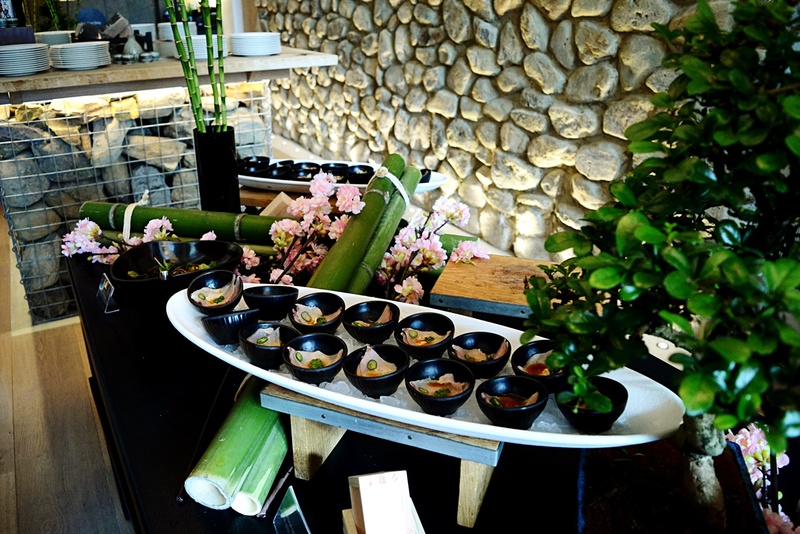 The plates themselves are very bespoke in flavour, with lots of tang and spice flavours such as wasabi. It is not one for the neutral eater for sure but a great option for those looking to try something a little different. The beef in particular is extremely tasty and there are great veggie options in the aubergine flatbread and avocado tartare dishes. 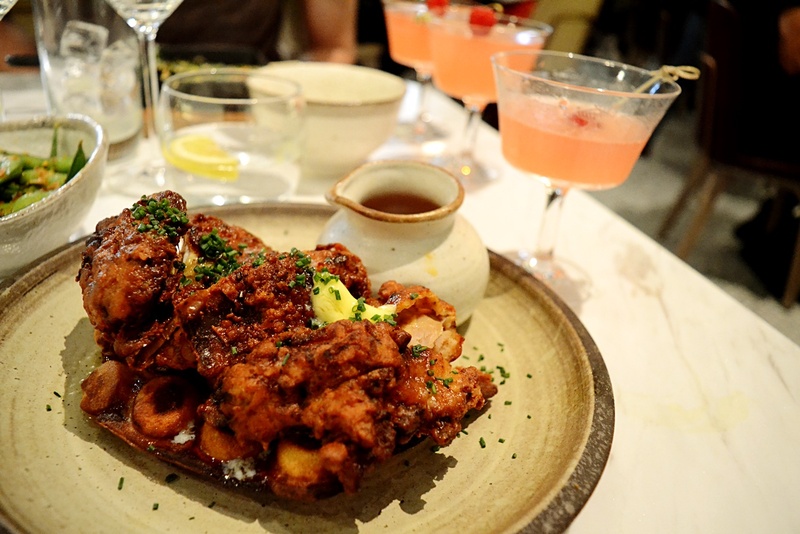 For mains our writers sampled the Chicken Waffle and Sake and Eggs. The Chicken is a home comfort style dish with a twist. Chilli maple syrup livens things up from a standard home meal, perhaps at times a little too much but an invigorating experience all the same. The sauce gives a mix of spicy and sweet simultaneously for a juxtaposed result. The Sake and Eggs are served in a cute little frying pan for aesthetic effect. The steak is served as rare rib-eye beef as standard with no preference required on how it is cooked prior to serving. 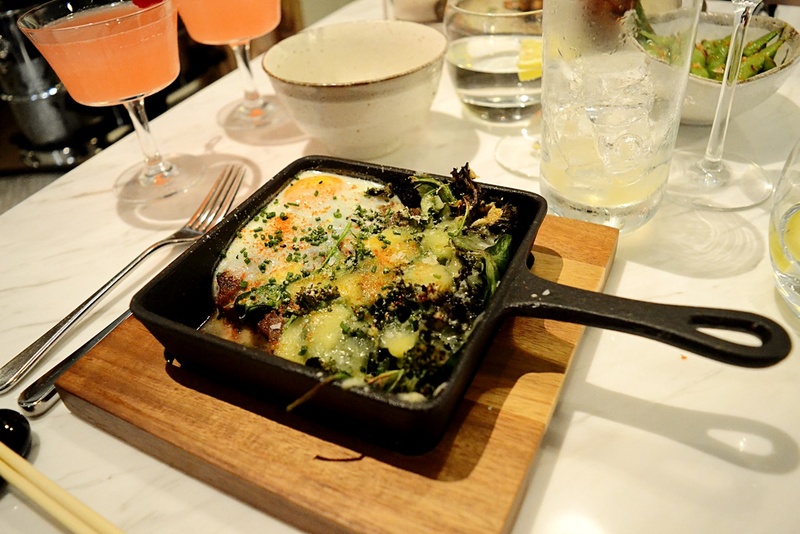 The dish is all compactly organised into the square of the skillet, topped with cheese and kale for added flavour. Slightly crisp and salty, this dish is a delight for the eyes and the palette. One of the best parts of the Rikyu Brunch is drinks are aplenty. The Tokusen option keeps the champagne flowing throughout, in addition to the Lychee and Raspberry fizz cocktail offered to begin. Desserts can also be tried separately or a little of each all at once. "The best flooring for every room"